Ancient Domains of Mystery (ADOM) is one of the most successful roguelike games ever created, with downloads in the millions and many more every day. 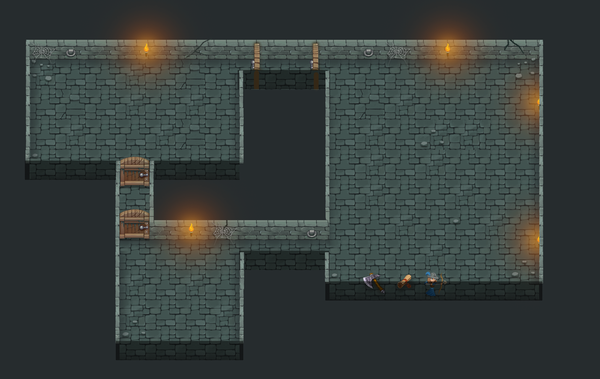 ADOM was the first roguelike to add a true role-playing experience to the roguelike genre and it has inspired countless numbers of new role playing/roguelike games you may have seen in last 2 decades. ADOM was in development from 1994 until November 2002, when the last build was released. Now, creator Thomas Biskup is resurrecting it, with a crowd funding campaign on Indiegogo. New stable releases for all supported platforms (Windows, Linux, MacOS, Amiga, NetBSD, FreeBSD; Android and iPad/iOS are going to be stretch goals). At least 12 new corruptions will be added to the corruption system. 45 new items will be added. 46 new artifacts will be added. 4 new monsters will be added. An extra special new boss monster with a special new map, 2 new artifacts, 4 new minion monsters for said boss and 16 new items that only will be recoverable on said special level are going to be added to the game. More elaborate interaction for many things that are currently only handled superficially. A series of magical statues distributed across the dungeons. A roster of new named random boss monsters with special powers. Exciting new graphics for the title screen and some quest-related events. Audio for sound effects and music for the game areas and important events. Head over to Indiegogo for more info, 5 days are still left to pledge. 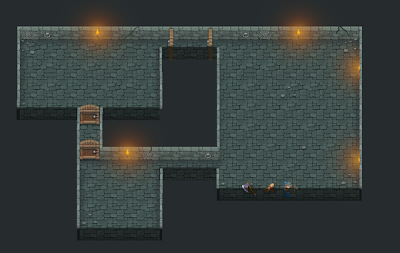 ADOM will remain a free game for everyone, but your donations will help give it a new life.